This Head Guard Protects the face against wind and cold. Ideal during autumn storms and days when the cold hurts the skin. 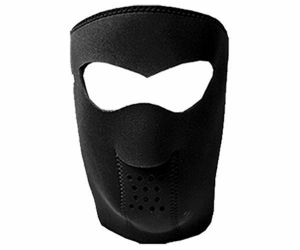 This Demon neoprene head guard is easy to carry and protect against temperatures below -20 C.
Wash 30°. Dark colors wash seperate.